We know how to go to God with our prayers about our frustrations, our needs … O, Lord, hear my prayer. O, Lord, hear my prayer. When I call, answer me … we sang along to that just last week. We call on God all the time with requests for His help and attention. What happens when He answers? What happens when He asks us to answer Him? This is the liturgy for the fourth Sunday in UMC Discipleship Ministries’ Rise Up! worship series for the Season After Epiphany. Note: For best understanding and flow, listen to each video where it is placed in the page before moving on to the next portion of text as placement is based on where the music/audio would take place during a live service. your grace consumes my soul like fire. God, your gaze is more than I can stand. come Lord, and release me from this strife. Spirit, speak, disturb my soul to life. Reflection for Sunday, January 28, 2018 – Answer! Moses had led the Hebrew people to the edge of the promised land, but he wasn’t going to be able to cross with them. When they had assembled at the base of Mount Horeb, they had asked Moses to petition God to give them someone who would take his place as their intercessor and, because they acknowledged their lack of worthiness to communicate with God directly, God judged their intentions good and promised them He would send them a prophet. Over the course of the next fourteen hundred years, God sent many prophets. 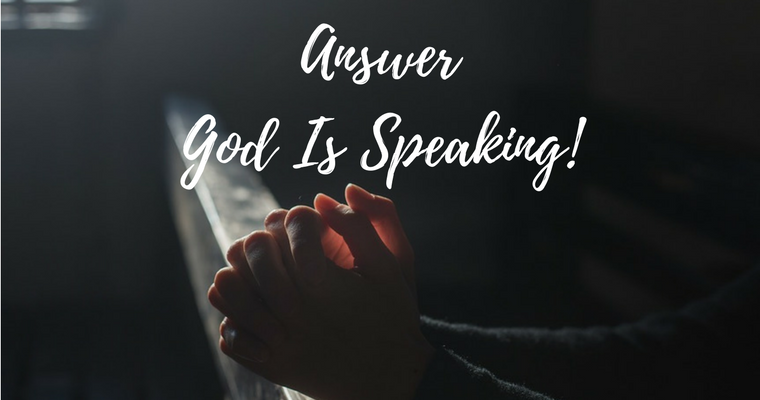 God is speaking, but God truly sees us and is also listening to us when we call on Him and God is answering. His answers may not come in a crystal clear voice ringing out from the heavens, but His answers come. His answers may not be the answer we wanted to hear, but His answers come. His answers may not be easy for us, but He knows we can accept them and do what’s required of us because He better than anyone knows our strengths and our limitations. Sometimes His answers come directly to us, and sometimes they come through us to others who are also waiting to hear His answers. Like He called the Prophets, He calls us to be His hands and feet. Sometimes His using us to answer someone else’s prayers becomes the answer to our own prayers. Knowing that … knowing that He answers our prayers and that He may need us to carry His answer to the others, we must also be willing to answer Him. Answering His call may not be easy. It may require sacrifice. It may require changing our lives or way of thinking. It may be one of the scariest things we’ve ever done, but what is important is that we find within ourselves the courage to answer and trust God will give us the strength to do what He’s calling us to do … and get us through the part where it isn’t easy. We can be confident in accepting His answers and His calling on us, though, because God is faithful. We can trust His answer and His call because, just as He told the Hebrew people through Moses, He sent us the most perfect answer He could have possibly given us … His son, Jesus, who, in turn, Jesus sent us the Holy Spirit as our helper. God is speaking to us, giving us the answers to our prayers and calling us to be the answer to the prayers of others. This particular anthem is not on the list of songs for today’s Rise Up! liturgy, but it’s something I feel is vital to remember as we rise up, listen, move, hear God’s answer, and answer Him. Christ was the intermediary God promised to send and that Moses told us about in Deuteronomy, and Christ made us a promise. Note: If this were being done in a live service, it would be done in the form of Tongsung Kido*, a Christian practice used in Korea and much of Asia in which everyone prays out loud at the same time, but not in unison or praying a single corporate prayer. that you are the God who answers. in a way we can receive it. Leader: God has heard us, and is answering us even now. We are forgiven and at peace with God through Jesus Christ. and our gifts with the church and all the world. Note: If this were a live service, this would be a time when we both passed the peace and gave our offering to the Lord. I encourage you to find a way to do both wherever you are by passing the peace to your neighbors and making a donation to a local charity or church. and is answering us today, right now. But God doesn’t answer us to please us. until we love God and neighbor as ourselves. 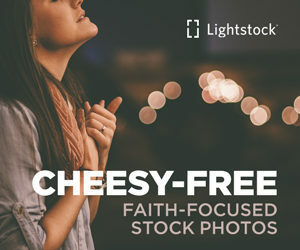 *Many thanks to the team at UMC Discipleship Ministries for providing the prayers, poem, scripture interpretation and song lists for this series. (©Discipleship Ministries 2018).